Home Edu News Do you undergo ‘social jet lag’? 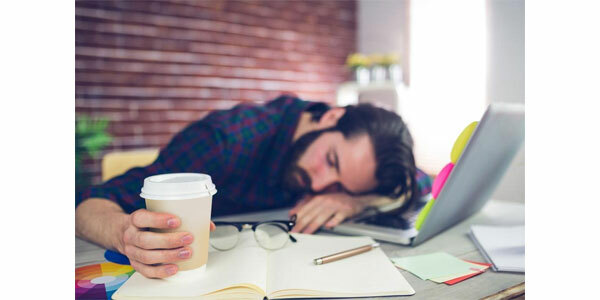 Social jet lag could be defined as a syndrome related to the mismatch between the body's internal clock and the realities of our daily schedules. Researchers report in the journal, Current Biology that measurable social jet lag occurs to netizens. "When we look at how social jet lag changes throughout the year, we find that the dominant effect by far is the social calendar," says Michael Rust of The University of Chicago. "It suggests that humans in modern societies have biological rhythms that are somewhat disconnected from the changing hours of sunlight throughout the year." The researchers found that sustained periods of low Twitter activity were correlated with sleep patterns as measured by conventional surveys. The nightly lull in Twitter activity shifted to later times on weekends relative to weekdays, an indication of social jet lag. The magnitude of this "Twitter social jet lag" varied both seasonally and geographically. It was also correlated with average commuting schedules, including how many people do shift work, and disease risk factors such as obesity, the researchers report. "For the limited number of counties with unified school schedules for which the calendars are readily available, social jet lag lines up almost perfectly with the calendars, even though the population of Twitter users is clearly not just students," Rust says. Researchers wish to develop tools to help individual people learn about their body's internal circadian clock and improve their lives by looking at their own individual timing data.